Manila, 25 October 2018: Voicing support for Health Sec. Francisco Duque III’s call to President Rodrigo Duterte to certify as urgent Senate bill no. 1605 proposing to raise tobacco taxes to 90 pesos per pack, the Southeast Asia Tobacco Control Alliance (SEATCA) said tobacco tax increases are a “win-win” policy, even for tobacco farmers. 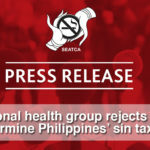 The Philippines’ 2012 Sin Tax Reform Law is often cited as a shining example of international best practice, having resulted in a million smokers quitting, especially among the youth and the poor, while generating much needed tax revenues, with a major part being earmarked for universal health coverage of poor families. According to the Philippine Global Adult Tobacco Survey, there were 16 million adult tobacco smokers in 2015 compared to 17.3 million in 2009. “Health and economic experts agree, however, that the substantial public health gains are being eroded by inflation and economic growth. 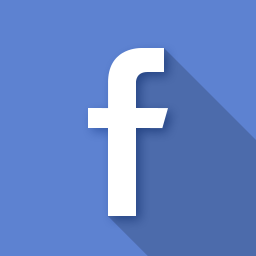 To sustain the reduction in tobacco use, cigarette tax rates should be increased immediately to Php 90 per pack followed by an annual increase of ten percent,” said Dorotheo. This would generate an additional 45 billion pesos annually to help fund UHC and lead to one million fewer smokers by 2022. Otherwise every year of delay has been estimated to result in 200,000 more smokers, who will be at high risk of tobacco-caused diseases, disabilities, and early death. Currently, tobacco kills more than 87,000 Filipinos annually. The Philippine government should continue to increase tobacco taxes to further reduce consumption and raise much-needed revenues for social development programs like Universal Health Care, already certified urgent by President Duterte. Regularly raising tobacco taxes to make tobacco products less affordable over time is one of the most potent and cost-effective measures to reduce tobacco use and save lives that 181 Parties including the Philippines have committed to implement under the global health treaty, the WHO Framework Convention on Tobacco Control.